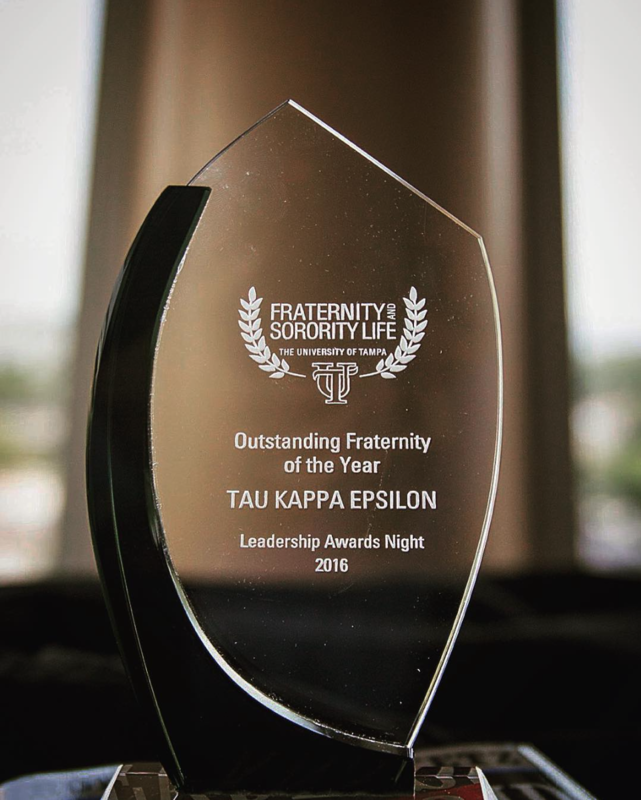 We are proud to announce that Tau Kappa Epsilon has won Fraternity of the Year at UT for the 2015-2016 Academic year! We’d also like to congratulate Frater Michael Paskach on his Greek Man of the Year award, Frater Ben White on his International Experiential award and the Spartan Leadership award, and Khadijah Khan our sweetheart, on her Volunteer of the Year award. 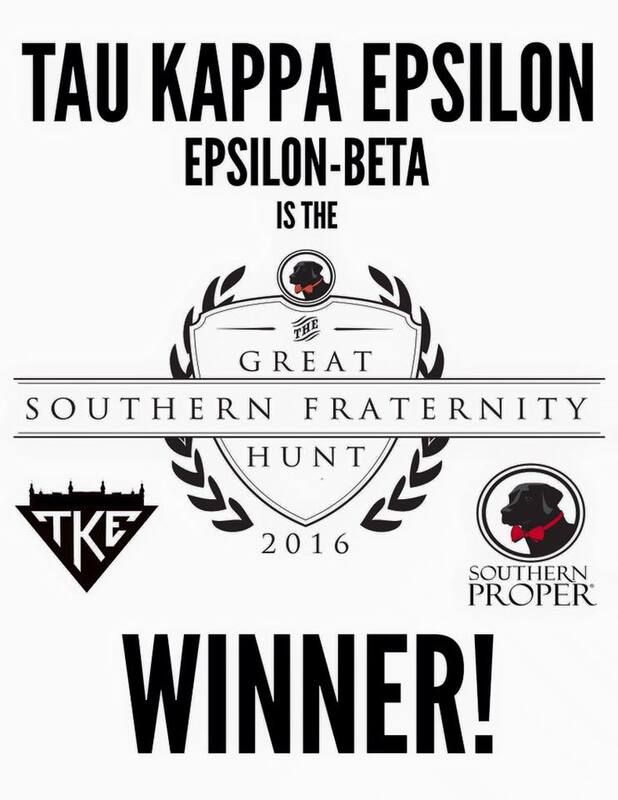 We are proud to say the International Headquarters of Tau Kappa Epsilon, have awarded us Top Teke Chapter! 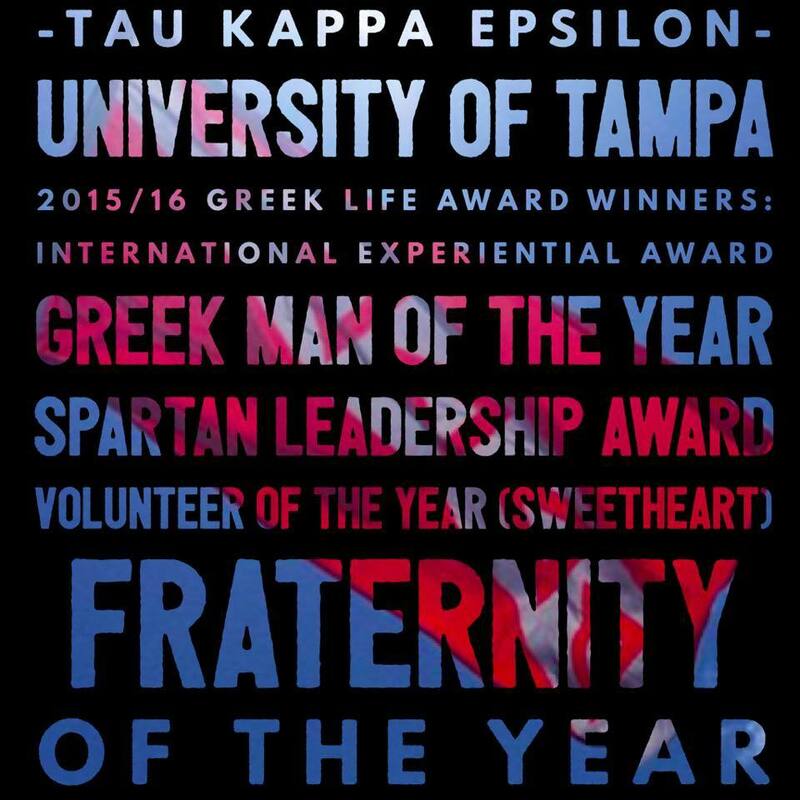 Our chapter and the individual Fraters are prime examples of the impact that Tau Kappa Epsilon can have on campus and in the community. Congratulations to our collegiate men for their outstanding efforts! Thank you to the alumni, volunteers, and advisors who worked tirelessly and given selflessly to help this group earn this great honor. We are excited to see this group and the individuals in it build off this success as we work to build Better Men for a Better World.